This site is simple, sleek, and lightning-fast. We took razor and superhero imagery as inspiration and created a coordinated logo and layout that communicate efficiency just by using the site’s navigation. You don’t have to wait for new pages to load. You don’t have to scroll to read massive amounts of text. Yet everything is still a cinch for the site’s owner to update whenever he wants. 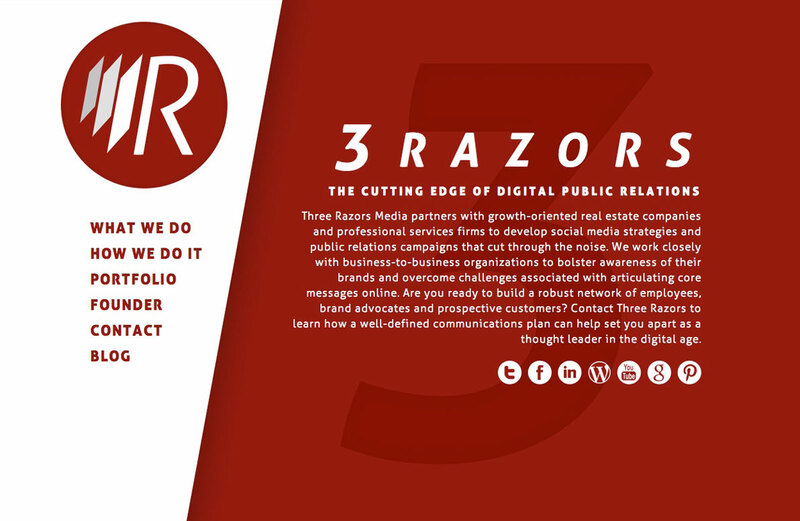 Three Razors is the home of digital media strategist Todd Razor, providing social media campaigns, search engine optimization, video production, and more for its clients.